Taiwan is the world leader in the LED (Light Emitting Diode) industry, accounting for approximately 30% of world production 1 . 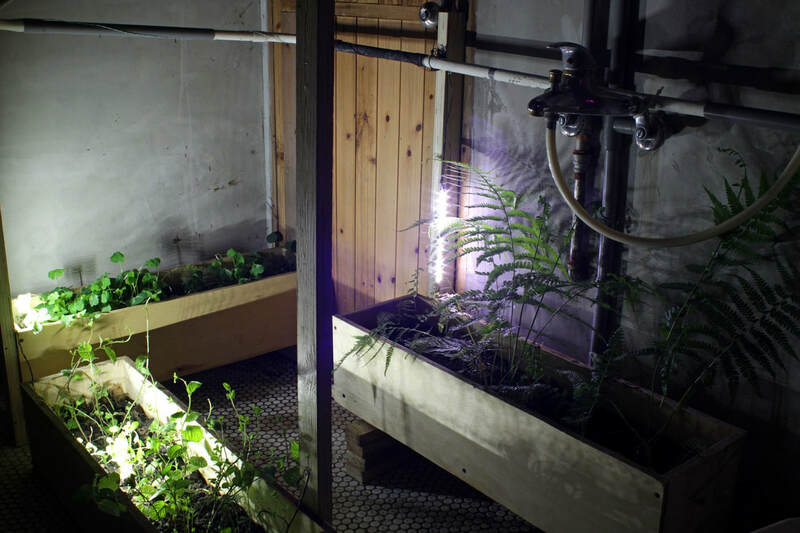 They are inexpensive, small and increasingly ubiquitous with their high efficiency as well as lifespan being of the utmost importance in a world with growing environmental problems caused by wasted energy and throw-away electronics. 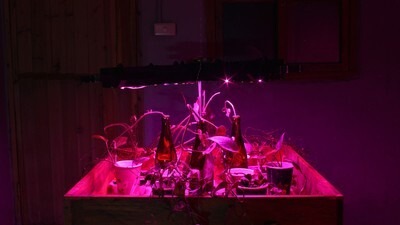 They simultaneously contribute to the world’s ecological problems and are also solutions to it. 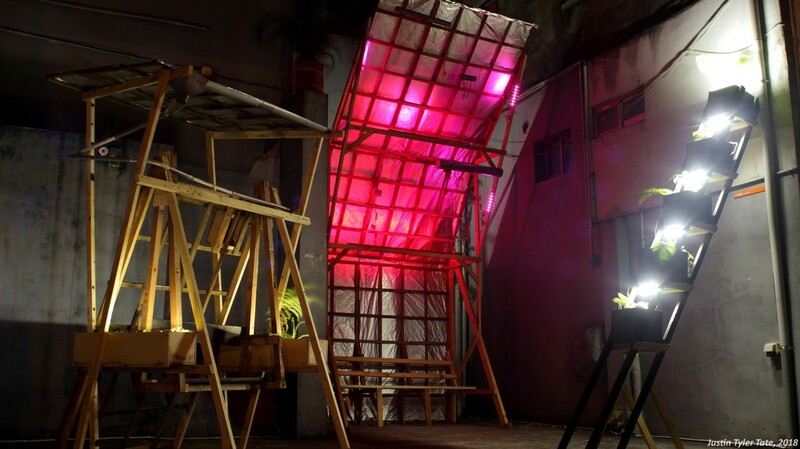 ​Over the course of 12 weeks at Taipei Artist Village (Treasure Hill), the production of the residency period will build upon existing research with LEDs for the purpose of creating light installation(s) that will infect the dark space(s) for the 2018 Treasure Hill Light Festival. 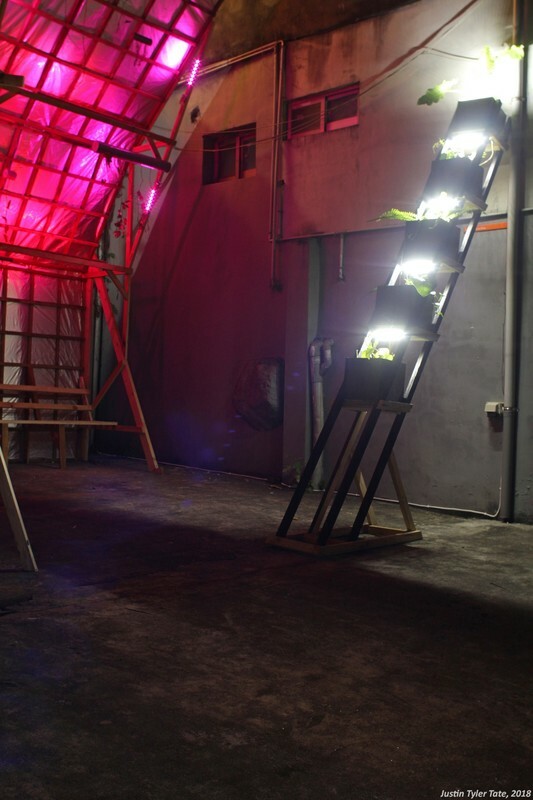 Custom made light installations will use repurposed e-waste from Taipei as the primary source of material for the acquisition of LEDs. 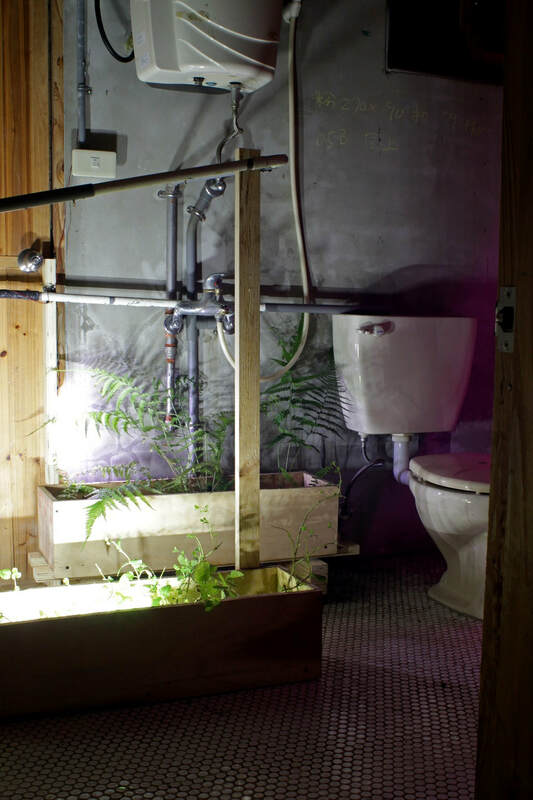 Waste is utilized as an available material resource, preventing and minimizing its environmental impact by preventing or delaying its disposal to the landfill or relinquishment to the landscape. 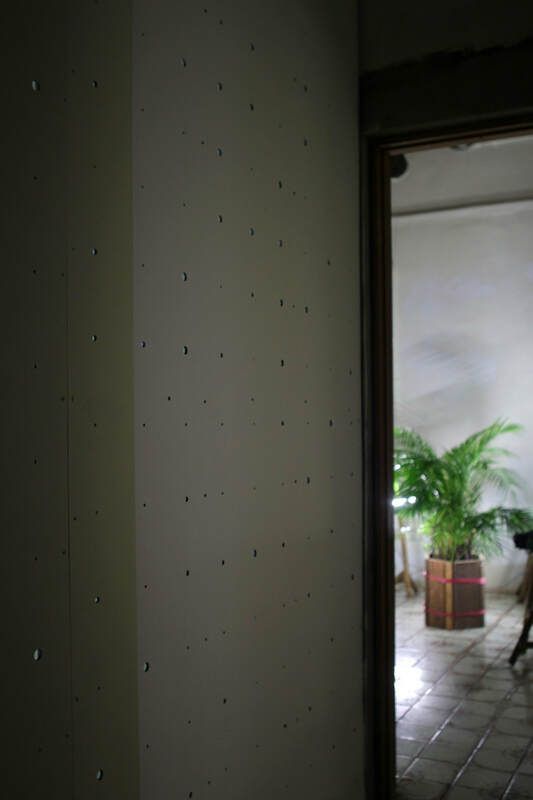 The effect of the finished installation(s) seeks to transform the space, responding to the specific architecture of the area. 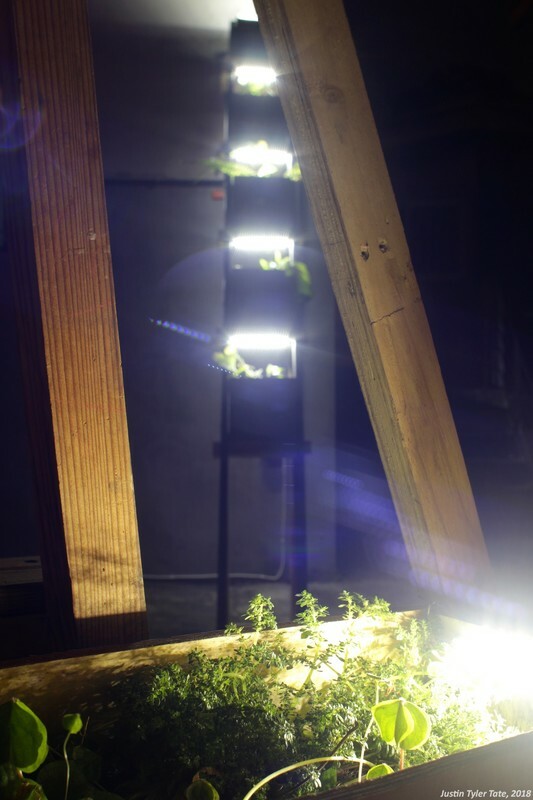 LEDs will paint on and sculpt the area, changing the way that Treasure Hill is perceived at night, through ecological and technologically driven practices. Through the labor, function and outcome of the project, separate ways of perceiving the ecological impact of consumerism arise, looking for alternative practices and symbiotic methodologies, while simultaneously manifesting space(s) that exist parallel to our own perception of reality. 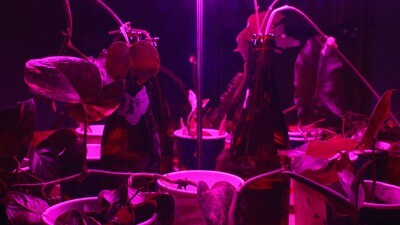 ‘Shine’ looks to explore the principles of bioluminescence by combining cheap technologies with repurposed waste materials through experimentation, play and labor in search of easily adoptable, repurposable tools/techniques. 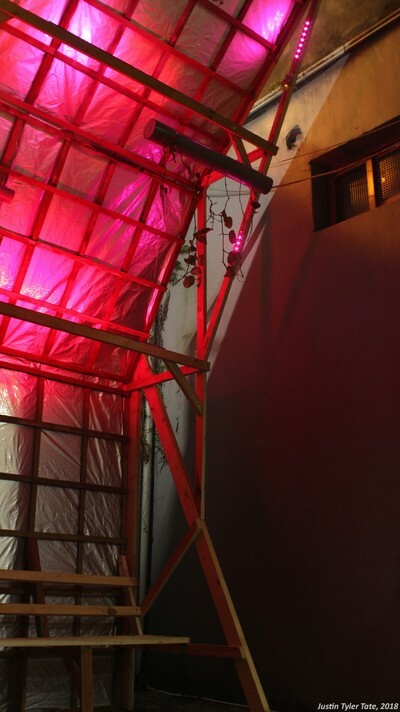 Through this process, the work promotes an alternate reality where open-source knowledge sharing and DIY problem solving are customary, contrary to our existing circumstances of proprietary information, planned obsolescence and throw-away electronics. 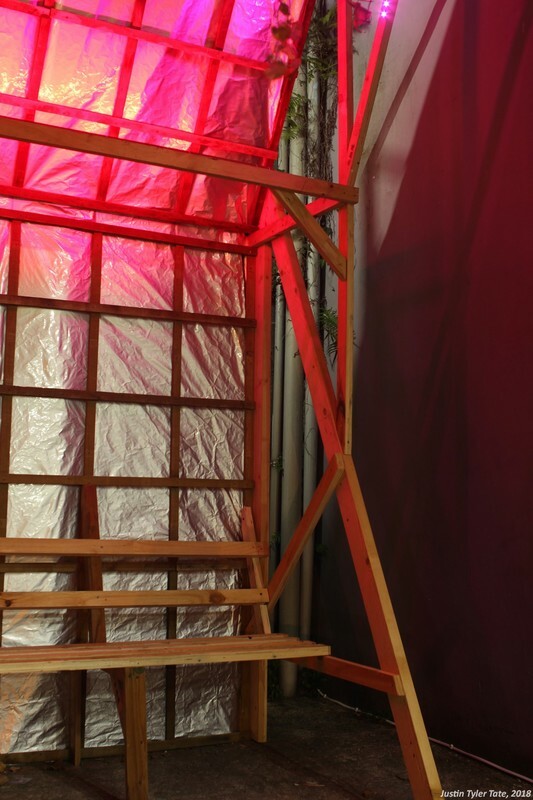 ‘Shine’ is not a singular entity which can be seen, walked around and understood as it is but rather a constellation of connected elements comprising research, hardware hacking, web-based instruction manuals, photographs, video performances as well as installations. It is the gestalt of these activities which must be understood for the full realization of the project. 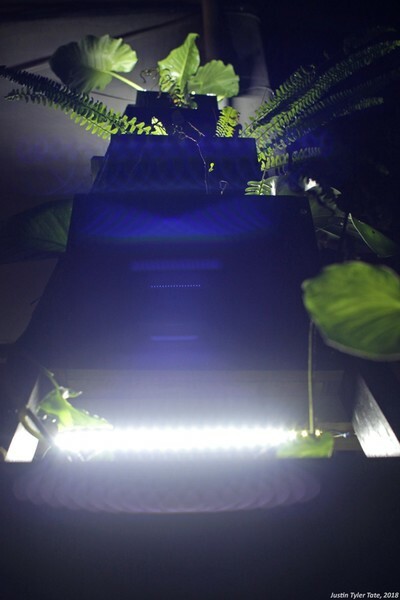 Through this myriad of tactics, the history and methodology of Treasure Hill is juxtaposed with LED technology. 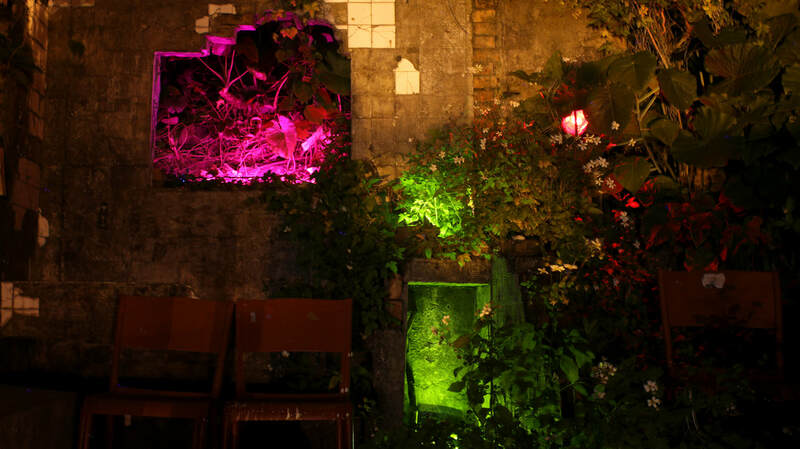 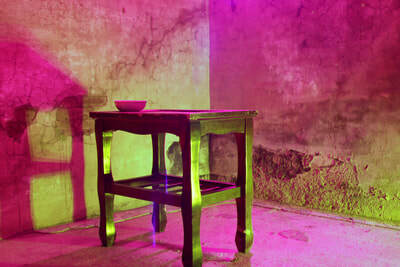 Custom built devices/structures infect the existing architecture with their colorful luminescence. 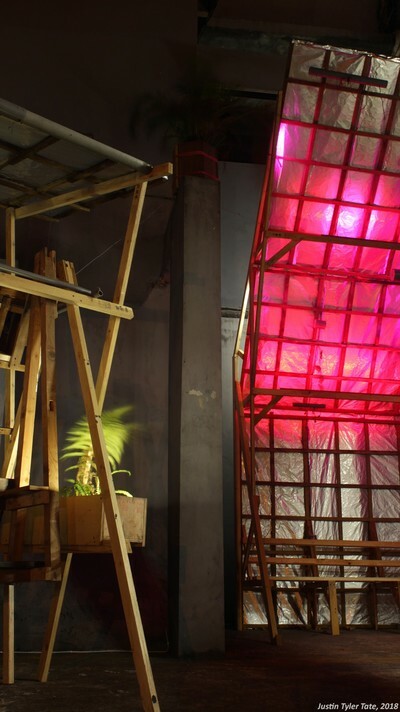 Light and structure are not simply used as tools of aesthetic engagement but are, more importantly, functional elements in transforming the space. ‘Shine’ bricolages elements of the past and the present with the purpose of hoping for, contributing to and/or inventing an alternate future. The outcome of these research activities will utilize the site-specific qualities of Treasure Hill as a need to be fulfilled, as well as a sculpture in itself. 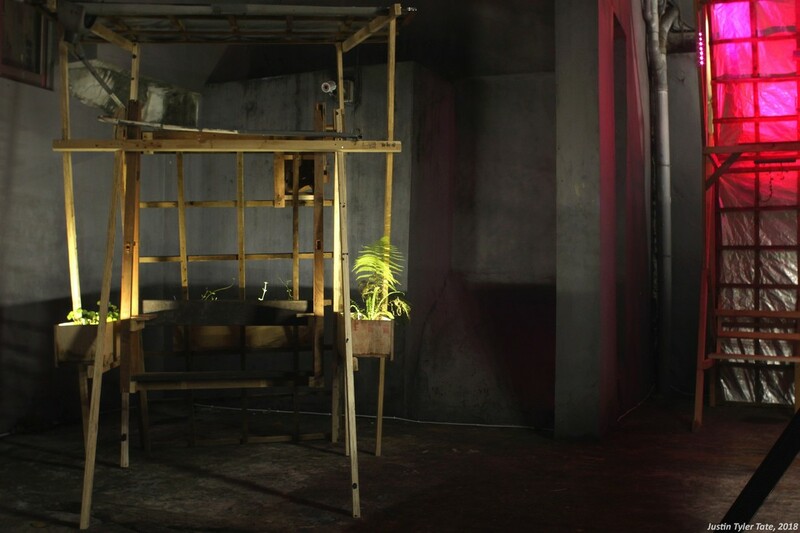 How the light of the installations illuminate and change the existing spaces creates a dialogue between the inherent history of Treasure Hill alongside the current standing of Taiwan as the world’s leader in LED production. 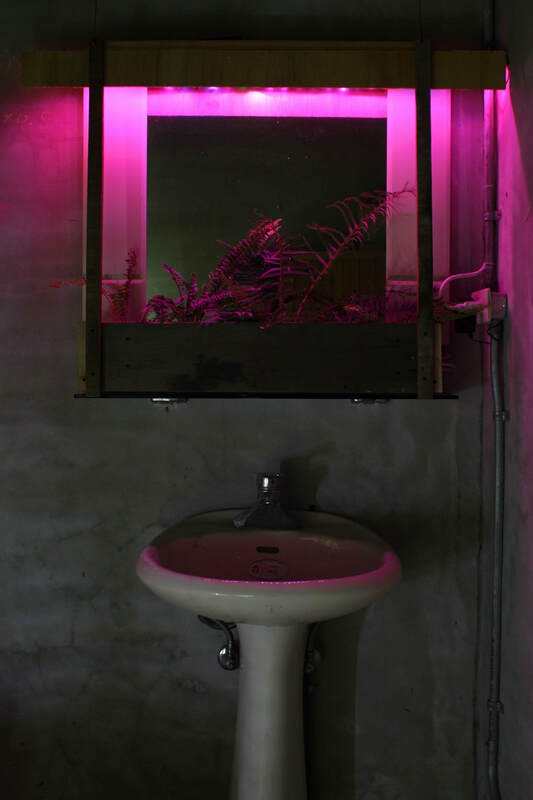 The project coalesces the local history, natural processes, contemporary technology, ecology as well as the area’s architecture into a nexus point where disparate manifestations of space/time are able to converge. 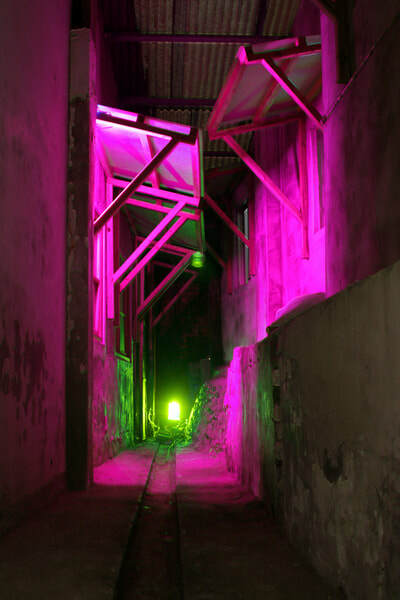 Temporary light Installations installed around Treasure Hill on 2018-01-16.
at Gallery #9, on Treasure Hill, ZhongZheng District, Taipei, Taiwan. The first manifestation of Shine utilizes a former residence of Treasure Hill. 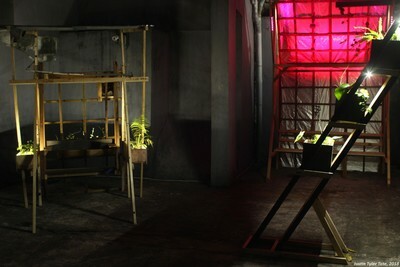 Components of the installation are kept to the scale of furniture and in relation to the amenities of a home; A table, curtain, plumbing, wall and other elements are all repurposed and transformed to create symbiotic relationships between space, flora, technology as well as the potential user. 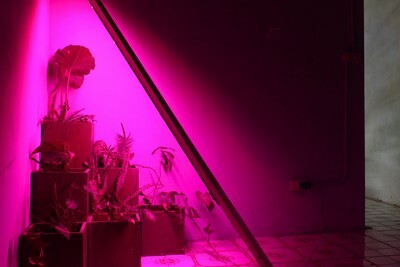 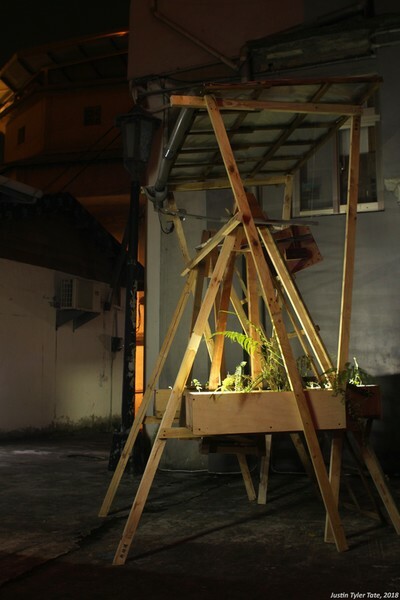 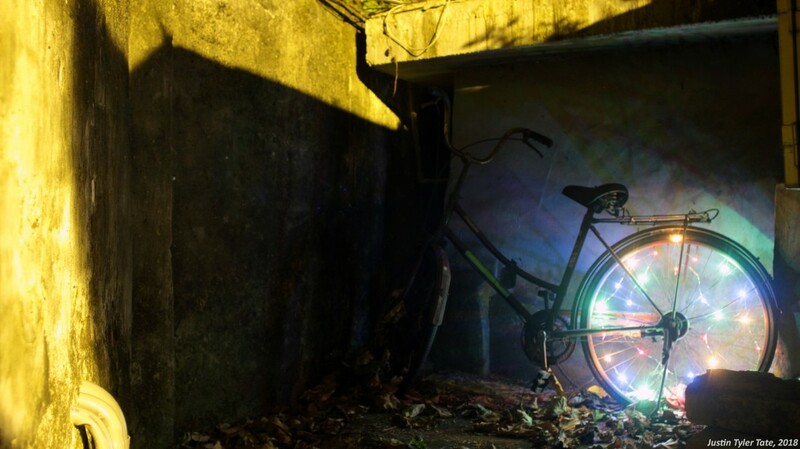 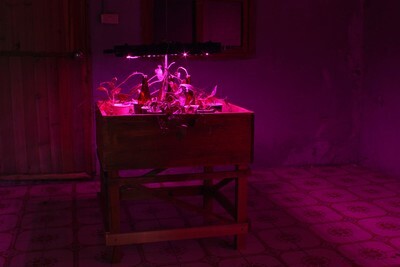 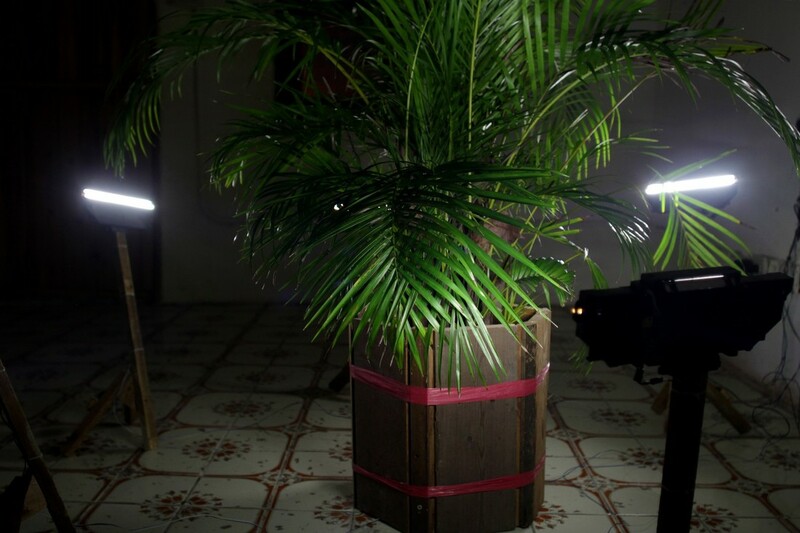 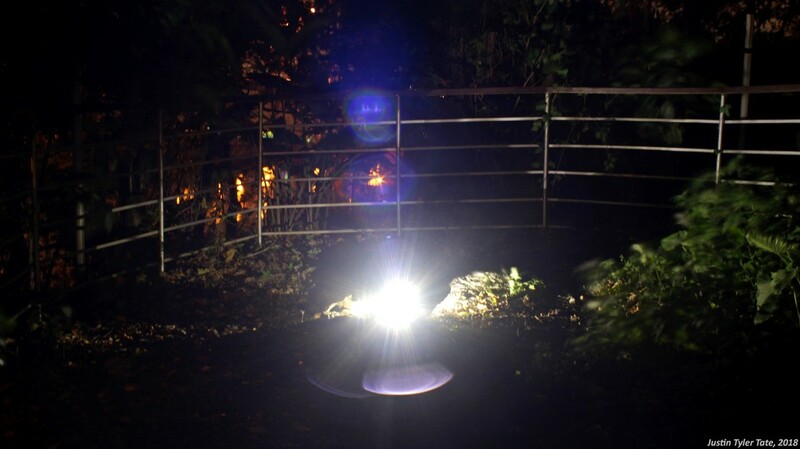 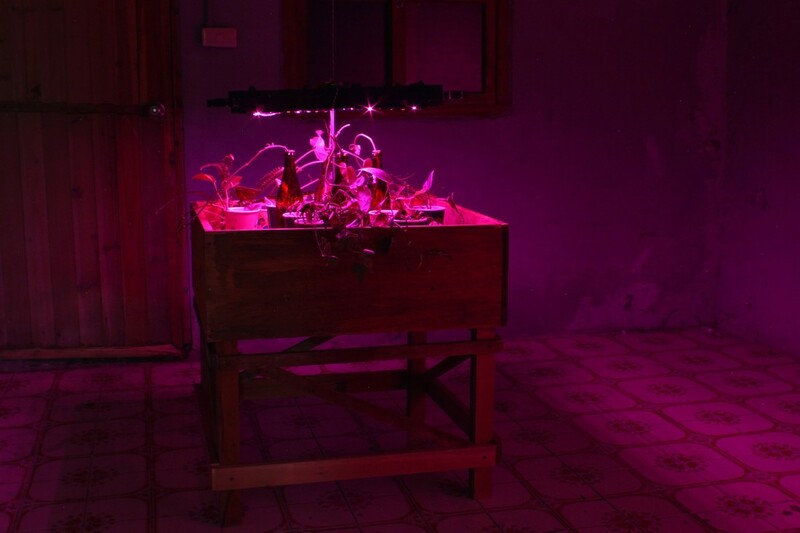 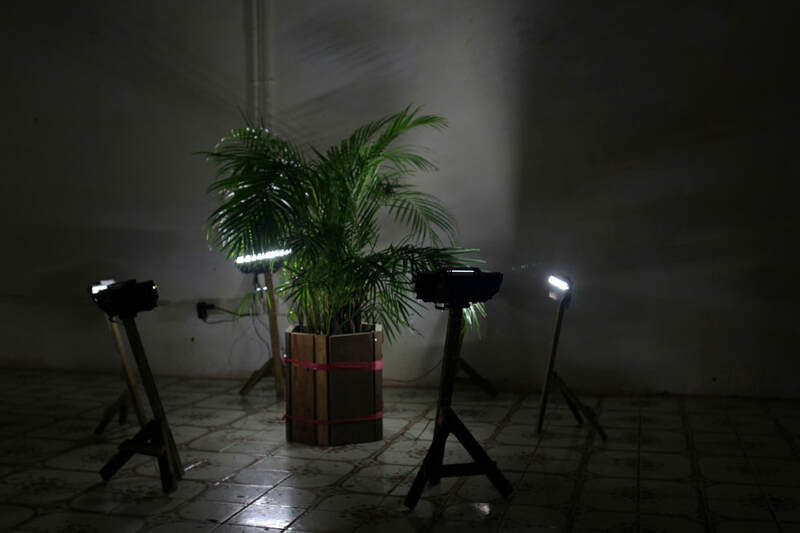 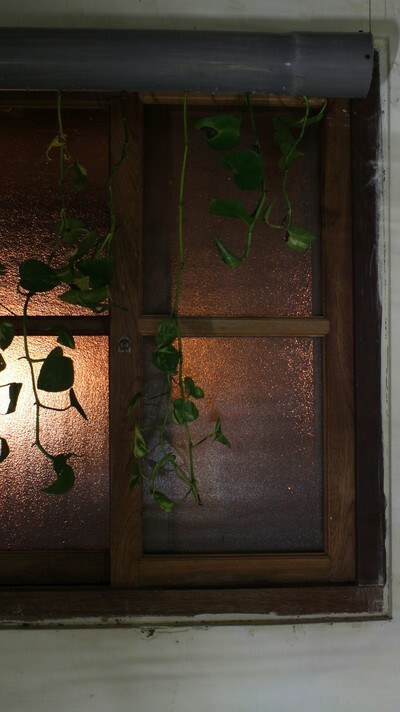 ​Within the installation; light is used as a functional object, with its own weight, more so than a tool of visual perception; thrown away materials are modified, repurposed and given new life; a mutually beneficial chain is created between user, technology and flora where each one provides for an other (U>T>F>U...). 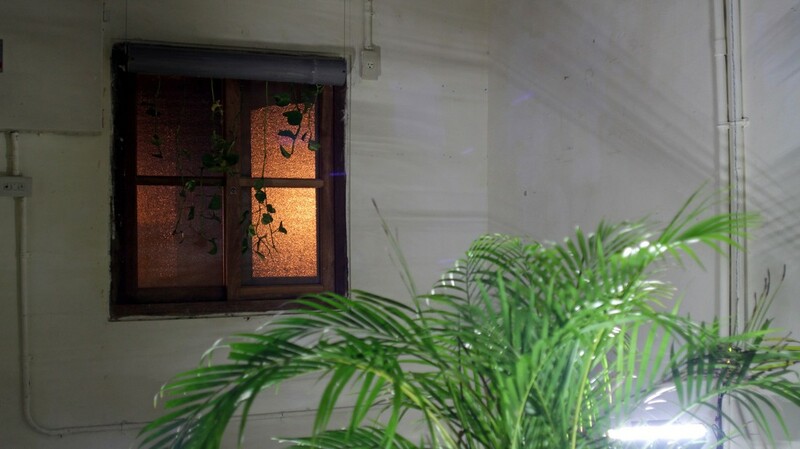 at Cross Plaza, on Treasure Hill, ZhongZheng District, Taipei, Taiwan. 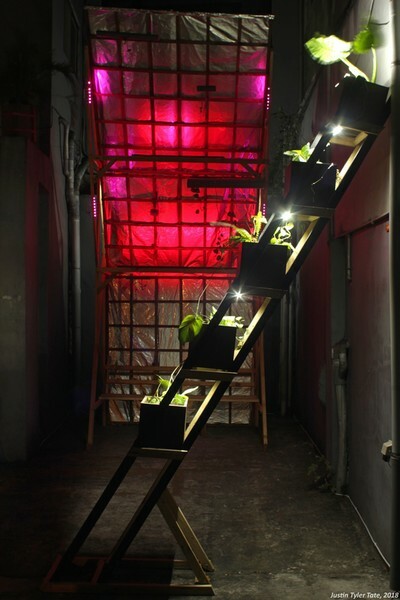 Materials: Repurposed wood, plants, LEDs, Arduinos, reused PVC, waste BoPET film as well as e-waste. 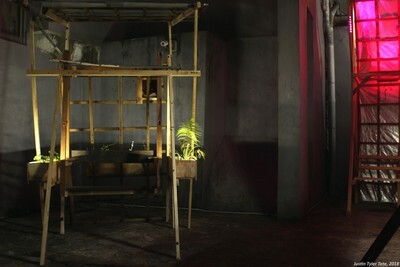 The second manifestation of Shrine occupies the part of Treasure Hill, called "Cross Plaza". The installation is constructed exclusively out of reused, available materials, acquired predominantly on treasure Hill as well as the surrounding area. 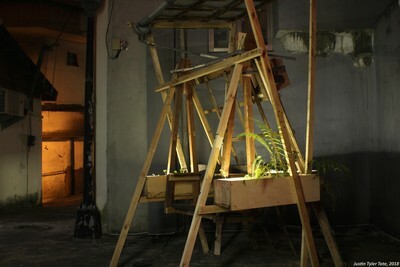 Wood, e-waste and other materials are assembled to become the installation. 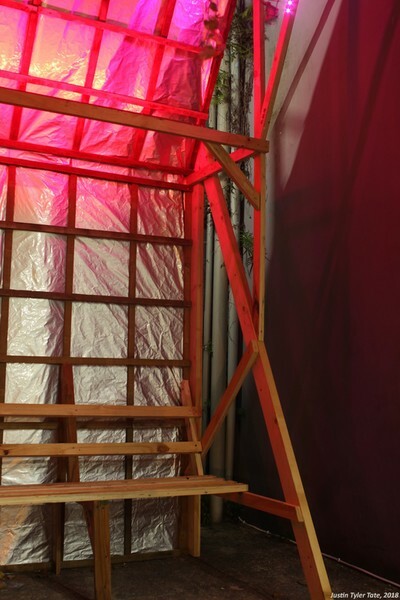 The space is given functional and accessible entities for the purpose of creating a social space which can coalesce with the architecture, the natural and the technological elements which are all working in relation to the others. 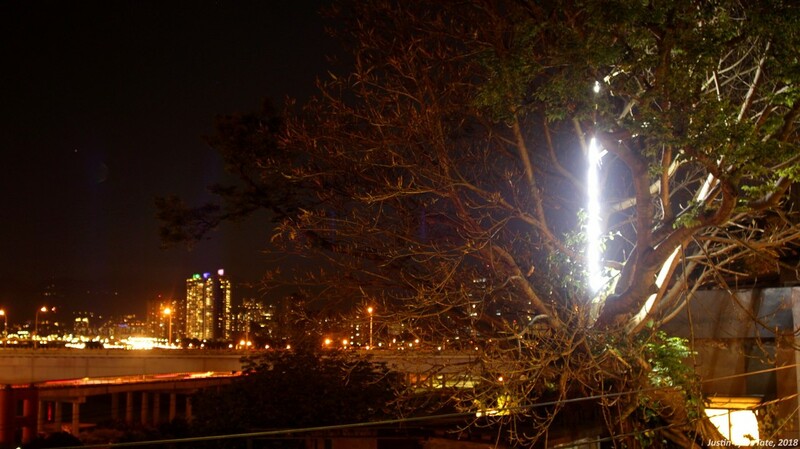 Temporary light Installations installed around Treasure Hill on 2018-03-29.